If you teach Chinese AP, or a student planning to take the test, there are many ways to prepare. Adding Chinese idioms appropriately into the writing section is a good way to show a deeper understanding of Chinese, and this will boost your test score. That’s why we’ve made a few infographics focused on Chinese idioms. 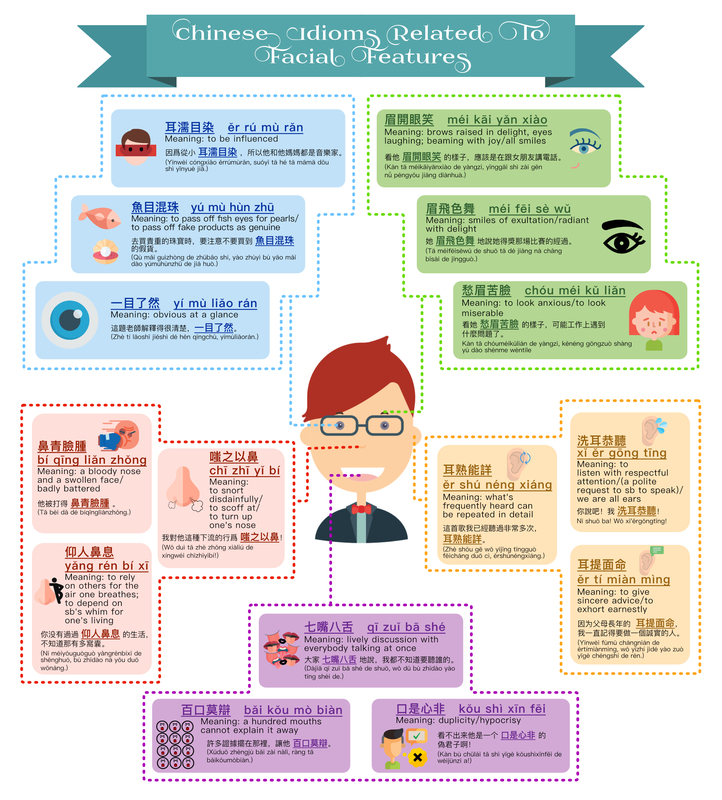 In this Chinese Idioms Related to Facial Features infographic, there are five facial features, with three frequently-used idioms for each feature, totalling 15 idioms. For each idiom, there is a Chinese character, pinyin, meaning, and a sentence, along with an image as a memory aid. Teachers can use this infographic to teach and provide more practice for the students. The idioms are listed below.